Besides minimizing thatch accumulation, aerifying benefits your lawn in other ways. 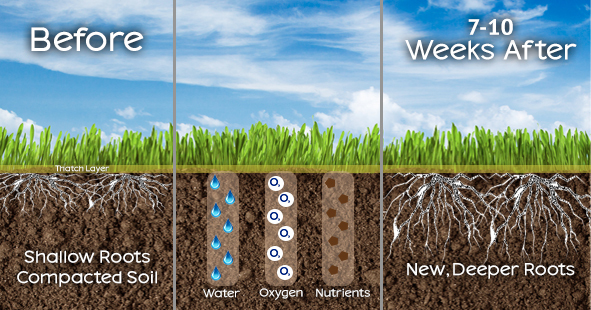 When combined with a fertilizer application, aerifying allows oxygen and nutrients to enter the root zone. This is very beneficial to the overall health of your grass. Aerifying is also a good way to open your lawn prior to over seeding and /or top dressing.